Craving a deeper connection to your community? Looking for ways to make an impact? 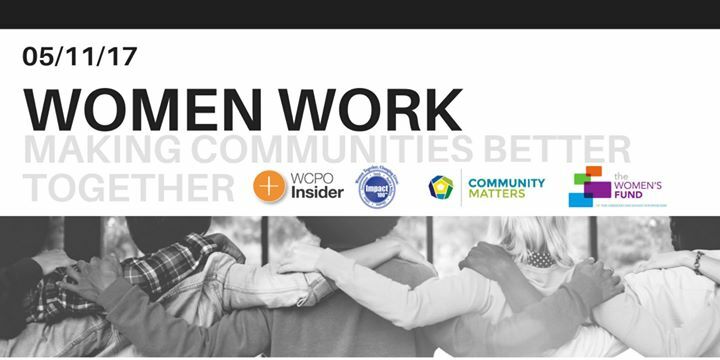 Join The Women’s Fund of Greater Cincinnati, WCPO Insider, Community Matters and Impact 100 for Women Work. This lunch workshop will explore the issues facing women in our communities, and how we can all play a role in improving them. Hear compelling stories from members of the community. Learn about new research from the The Women’s Fund of Greater Cincinnati. Talk with other women about how we all can play a role in making Cincinnati better for everyone. Tickets costs are donation-based. We encourage you to pay what you can. Ticket donations will be given to Community Matters and The Women’s Fund. Click the Eventbrite ticket link to sign up!